In this lab we will learn to redistribute EIGRP into OSPF and vice versa. This lab is configured use three routers R1, 2, and 3 as shown in the included network diagram. EIGRP is configured on R1 and 2 OSPF is also configured on R2 as well as R3 as OSPF Area 0. OSPF Area 10 and 20 are implemented on R2 and 3 using loopback interfaces. 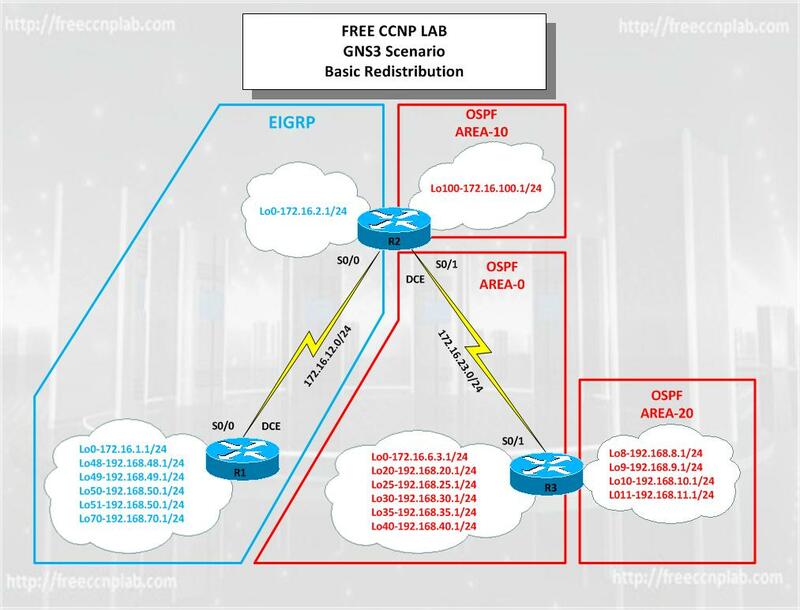 Review EIGRP and OSPF configuration. Filter routes using route maps. Summarize in OSPF at an ABR and an ASBR. Please the page has been useful to me. Could you help me with Cisco IOS images please?